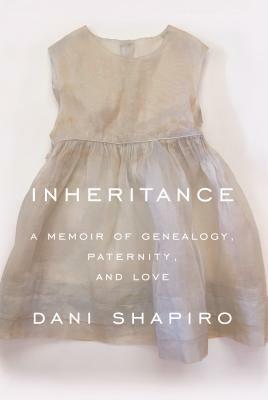 Just in time for Mother’s Day: Black & White, by Dani Shapiro. I read about this book in The Washington Post on Tuesday. It’s the story of Clara, the grown daughter of a famous photographer named Ruth Dunne. Ruth coerced her daughter into appearing in her photos from ages 3-14, and Clara has permanent scars from the experience. She has completely distanced herself from her mother, severing ties by moving away and not telling her own young daughter a word about her childhood. After setting herself up for so much potential failure, Shapiro does something rather thrilling with her story: She gets it just right. After 14 silent years, there isn’t a trace of sentimentality in the reunion of Ruth and Clara. Instead, Clara becomes entangled convincingly in a snare of complex emotions: anger, guilt, fear, regret and, most painful of all, inescapable devotion. Ruth is a surprisingly sympathetic character whose love for her daughters, while ruinous, also seems genuine. It seems natural rather than forced that Clara turns abruptly contrite during Ruth’s swift decline, and returns to Maine to fetch Sammy to New York for a last-minute introduction. A scene at this point perfectly displays Shapiro’s commanding craftsmanship: Ruth, with the demonic burst of energy that often possesses end-stage cancer patients, insists on taking Clara and Sammy gallery-hopping through Chelsea. Funny and tragic, the episode expertly describes the milieu through which Ruth has glided like an empress all her life, at the same time taking stock of Clara’s dread and Sammy’s childish ennui. It’s a portrait in three dimensions that beautifully captures both the stark black-and-white urgency of the moment and a range of subtler, softer shades of gray. Here is an excerpt from Chapter 1. I’ve always wanted to read Shapiro’s Family History, but never have. Any Dani Shapiro fans out there?